Our friends at BaggerModelle recently sent us a copy of their August 2016 issue, which contains a fantastic two page look at our 1:24 scale Cat® D10T2. A big thanks to them for continuing to feature our models in their magazine! 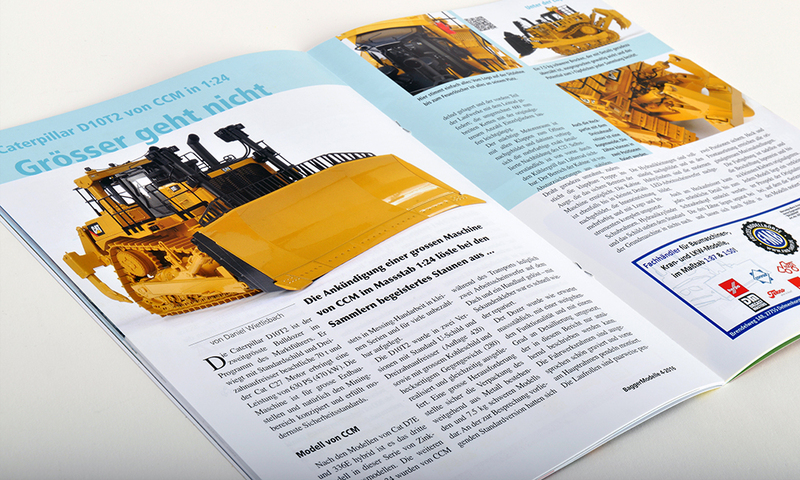 If you haven’t seen it before, BaggerModelle is a magazine dedicated solely to scale models of construction equipment that is published in Switzerland by Daniel Wietlisbach. They recently began selling a digital only English version of the magazine called ‘Construction Modeller’. Be sure to check out their website or Facebook page and pick up a copy for yourself.